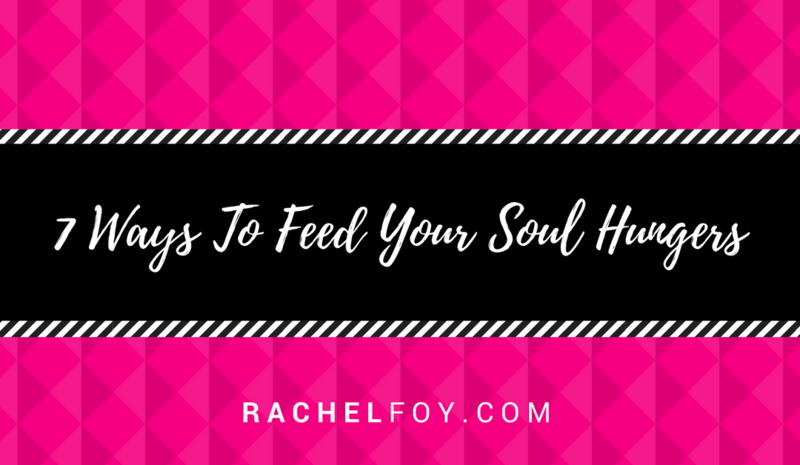 So what can you do to feed a hungry soul? 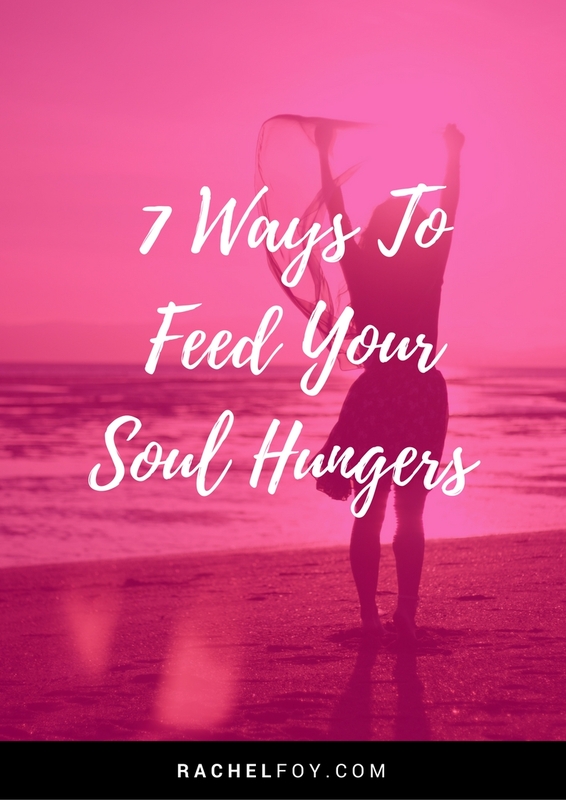 So let’s imagine that you have identified that your struggles with food (emotional eating, binging, weight obsession) are all showing you that indeed your soul is hungry. Then what?? Towards the end of 2016, I had a little mini-melt down, which I would later see as being a massive breakthrough to my truth and authentic self (I wrote about it here). During that time I HAD to start doing what I want to share with you now. And that is stepping into that fear no matter what. So often when women recognize these non-physical hungers within themselves, even though it might bring some relief to actually have an explanation why they can’t stop eating chocolate or they binge until they feel sick, it also brings with it FEAR. And I can categorically tell you that FEAR is completely normal yet it is also something which, unless you face it eye to eye and push through it, it WILL prevent you from being who you are truly meant to be. Monotonous hamster wheel. That’s what life can become sometimes, right? I appreciate that life has to be like that in parts (I have 2 children who have structure and routine of school and after school activities) but at the same, that monotony CAN leave your soul starving for more fun, excitement and adventure. Mine certainly was towards the end of 2016. So here’s my challenge for you….. how can you break your routine ONCE this week?? What could you do which is different to ‘normal?’ It could be something big or small. It could be anything. I’ve started doing this as a game for myself now and it’s really fun! Honey you have got to OWN your awesomeness. Yet I suspect you shy aware from your quirks and imperfections and see them as a bad thing, right? A soul which is hungry wants and CRAVES acceptance. Towards the end of 2016, I became unapologetically ME. And trust me that was hard! Even working as a therapist and having worked in the field of personal development and mindset work for 10+ years, REALLY owning ALL of me was tough. I was anxious that people wouldn’t like me and make judgements. You are NOT here to please everyone and for everyone to like you. You approve yourself. No one else. Ever. I have this moto on my wall and I read it several time a day. Whether you like me or not, it really doesn’t matter. Most women with hungry souls are people pleasers. Something which I am REALLY conscious of now, more than ever, are my boundaries. How many times have you felt obliged to go somewhere? Felt obliged to say ‘yes’ to something you really didn’t want to say ‘yes’ to only to find yourself wishing you hadn’t gone to that thing as you didn’t enjoy yourself, just as you thought!? I know it can be difficult to say ‘no’ to someone or something but why would you agree to something which you don’t want to do? Really pay attention to yourself and listen. Allow your body and soul to guide you when making decisions and choices, rather than your head which can overcomplicate it and bring your ego into play too much. Saying NO is incredibly powerful at feeding a hungry soul as often we crave more time and space. We crave things which light US up. We are hungry for fun and enjoyment on our terms. I’ve become so much better with my boundaries over this last few years but I’ve really stepped it up a notch recently. If it doesn’t feed my soul and my gut is saying ‘no’, then that is what I choose to listen to. I find that writing in one of my many journals (anyone else obsessed with stationary?!?) REALLY helps me listen and focus on what I’m needing. Slowing our minds down takes a bit of time, especially when we are just not used to quieting it down. Meditation is also a fabulous tool and one which, when used with intention, can be powerful at allowing you to reconnect to yourself on a soul level. To begin with just take 5 minutes to just BE. No interruptions, no distractions. Just sit or lie. Be aware of what you notice. Drop the judgement or criticism, you can’t do this wrong. Comfort zones are there to be challenged, what is necessary for you to do and to push through, in order to feed your hungry soul?? Brendon Burchard talks about comfort zones in this video, you should check it out as it’s spot on! My final way of feeding my own hungry soul is to try and relax into life a bit more. So many of us spend our lives getting through to do lists, worrying about the future, over thinking and over analyzing everything to the point we deplete ourselves and life becomes dull. No wonder chocolate becomes our best friend everyday! What would happen if you relaxed into life a bit more? If you choose for things to be a little more light hearted? If you failed to get all the ironing done, does it really matter? If your kitchen is not as tidy as you think it has to be, does the world really end?